One of the most unique music genres is the disco. It is a high tempo form of dance music that is a fusion of funk and soul music, with influences from salsa and Latino music styles. 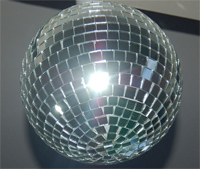 Its name is derived from the word discotheque, which is a French word meaning nightclub. Although making out a distinct point of origin of disco music is not easy, it traces its roots from the late 1960s and early 1970s in clubs dominated by African American groups in New York City. Despite the big audiences’ disco music received especially from black gay men, it didn’t enter mainstream music industry until it started filtering through to white gay clubs in New York. Although both music genres saw their growth mainly in the United States, there is a marked difference between the style of music and instrumentation. Instruments mainly used by disco musicians are strings (violin, viola, cello), a type of organ called the string synth, bass, trumpet, saxophone and sometimes drums. Rock on the other hand mainly uses the electric guitar, bass, drums and the keyboard. Disco songs tend to have a steady four on-the-floor beat and a bass line that is heavy and syncopated. Disco tracks also incorporated the heavy use of the wah-wah pedal that gave off a characteristic electric guitar sound. The sound of rock music basically revolves around the electric guitar, employing a strong back beat of rhyming bass guitars, drums and keyboard instruments. Generally speaking the notable difference between the sound of rock and disco or dance song is that in a disco song the bass hits the ‘four to the floor’ once every beat whereas for rock sound the bass hits on one and three and the snare takes the lead on two and four. 1. Disco music is largely high tempo and dance beat music whereas unlike rock. 2. Disco music uses a lot of string instruments like violins and cellos whereas such are not common with rock music. 3. Bass beat patterns differ greatly between rock sound and disco sound. 4. Disco music has largely faded in later years whereas rock has stayed on strong and evolving into sub genres. Kivumbi. "Difference Between Rock and Disco." DifferenceBetween.net. February 20, 2011 < http://www.differencebetween.net/miscellaneous/difference-between-rock-and-disco/ >.